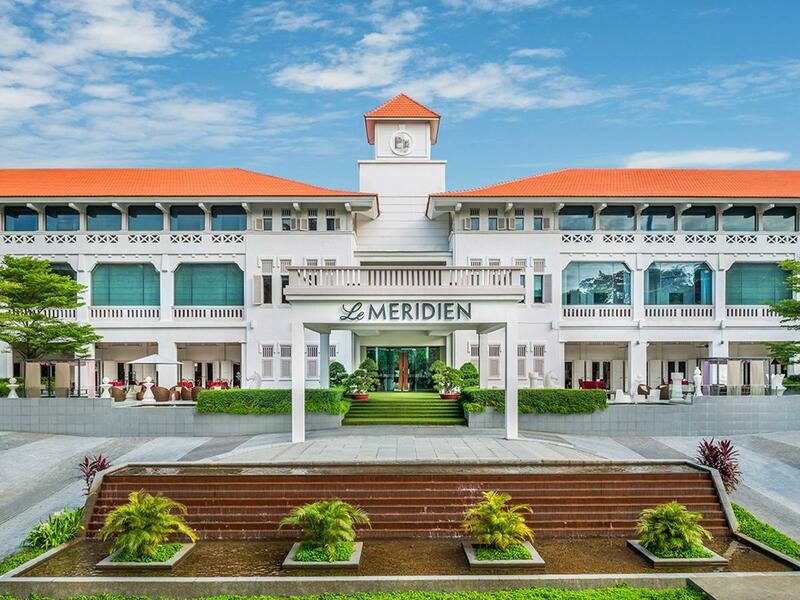 The imposing statue of Merlion, Sentosa’s famous half-lion, half-fish mascot sits near the entrance of the Méridien. The hotel’s central location with its easy access to the Express Monorail makes it the perfect choice for visiting the resort’s attractions and unspoilt coastline. 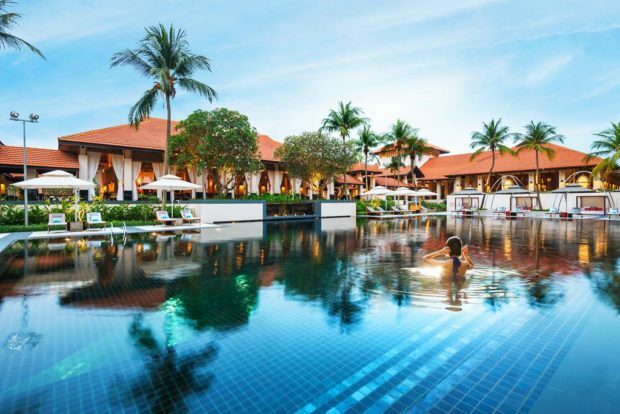 The hotel also has many attractions of its own including an outdoor swimming pool to relax by and a fully-equipped gymnasium for working up an appetite. Delicious haute cuisine featuring the finest local dishes is available at any time of the day. The World of Whisky bar specialises in presenting guests with an array of connoisseur whiskies. All 191 rooms have elegant, modern décor with a hint of traditional flair. Some suites feature hot tubs but all have breathtaking views of either the sea or the hotel’s beautiful gardens. Set within a renovated nineteenth century mansion, Sofitel enjoys an unrivalled cliff-top location. There are spectacular scenes to view of the South China Sea, particularly at sunset. The luxurious hotel complex is sheltered by the Parisian-style landscaped gardens filled with exotic plants and waterfalls. The interior is full of elegant, palatial splendour and features high ceilings, large windows and comfortable soft furnishings. The lobby has a bold but welcoming colour scheme of orange and red highlighted by sparkling chandeliers. The Sofitel’s distinctive style and charm is evident throughout the guest rooms within the main complex and the four secluded, self-contained villas which offer additional privacy. Exercise and relaxing massages are available at the hotel’s professional fitness centre that includes a 33m swimming pool. 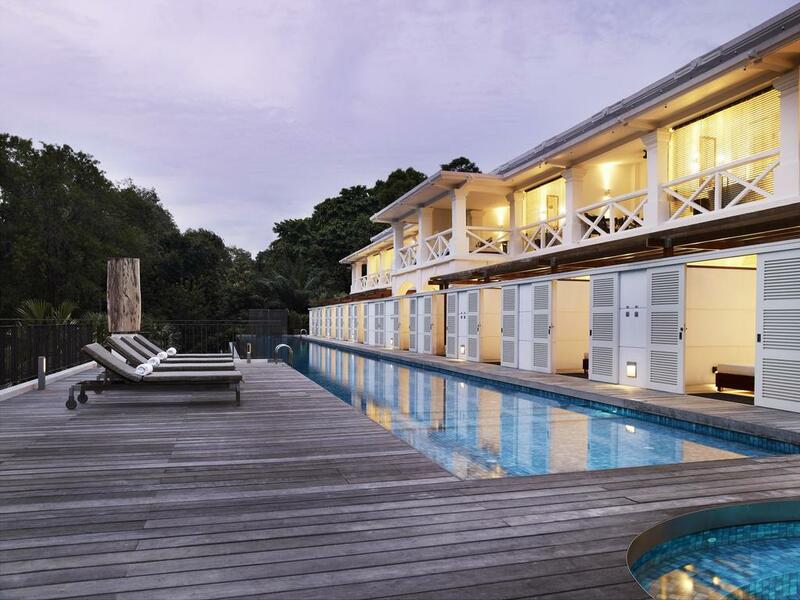 The Capella hotel is set within thirty acres of beautifully maintained gardens where guests can enjoy peaceful walks while looking for the resident peacocks amidst an abundance of tropical plants. The white-washed exterior of the main hotel building which is more than one hundred years old, features two storeys of traditional archways and balustrades. The renovated interior comprises a luxurious blend of colonial and contemporary style with bold colour schemes. There are 112 spacious rooms and a choice of secluded villas. Some rooms have private balconies with stunning views of the coast or gardens. An imaginative, international cuisine is presented throughout the day at the hotel’s restaurant. Cocktails at sunset on the verandah which has glorious views of the South China Sea are not to be missed. 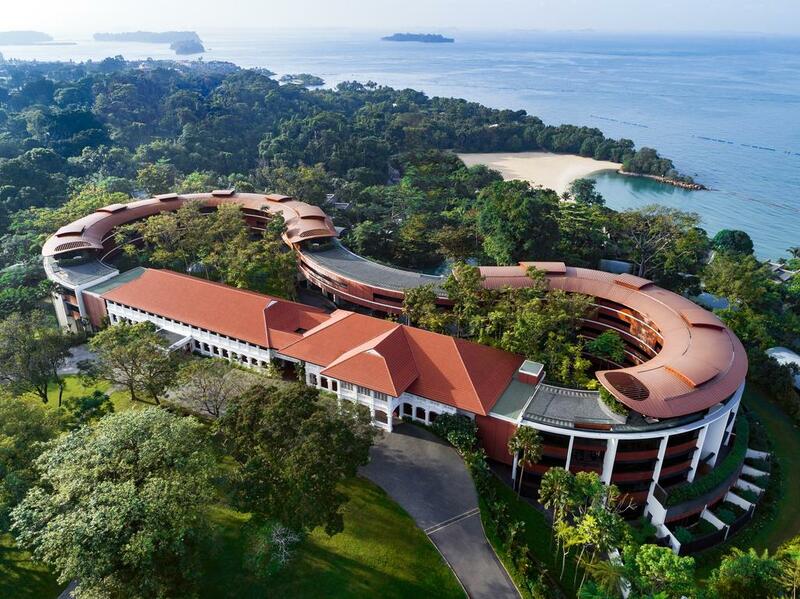 Sentosa’s main attractions and shopping centres are easily accessible from the luxurious Amara hotel. Guests seeking effortless relaxation can enjoy being pampered at the hotel’s spa or relieve stress in the gymnasium or one of the outdoor swimming pools. The hotel’s impressive renovation has retained architectural features from its colonial past and incorporated a contemporary, chic design to present visitors with a warm, welcoming atmosphere. Works of art and intricate decoration provide additional interest. Each of the sumptuous guest rooms is equipped with an ensuite bathroom and cable television for entertainment. Secluded courtyard villas offer pool access and self-contained luxury, providing spacious accommodation for single guests or large family groups.